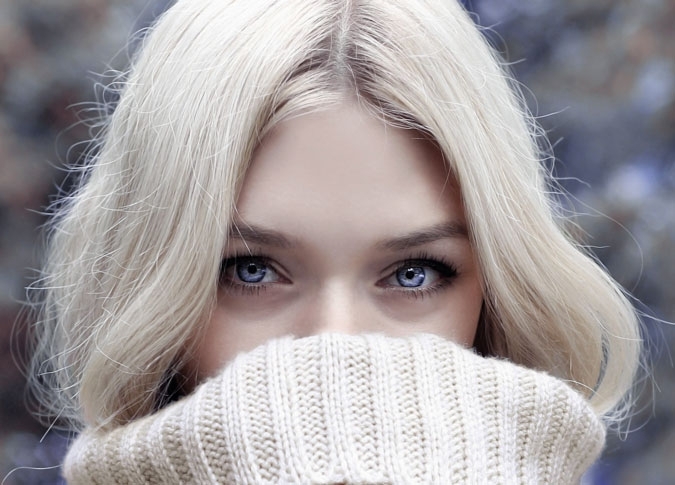 STOP Hair Static This Winter! As soon as the temperature starts to really dip, the battle with hair static begins almost immediately. The culprit? Dry air/low humidity levels. You see, as the humidity drops the lack of moisture in the air also causes the hair to lose moisture, creating the perfect environment for hair static and flyaways to develop. The science behind hair static? The combination of the dry air and the lack of moisture in your hair causes your locks to become full of positively charged electrons that repel against each other, creating static. On top of that, static can also occur from two different materials rubbing against one another–like when you pull a hat off your head. Always avoid the use of plastic combs during hair static season. Why? Plastic actually encourages static to develop! Instead, opt for natural wood combs and natural boar bristle brushes. Since you spend several hours sleeping in the same spot every night, it is always a good practice to sleep with a humidifier in the room to add moisture back to the air. This will not only benefit your hair while it prevents static, but it will also keep your skin and nasal passages from drying out! Using a heat protectant will protect your hair from the damage and dryness that results from over-use of heat styling appliances. Again, dry hair equals more static! As we have said before, sulfate-free shampoos are much less drying on the hair and winter is a particularly good season to avoid any shampoo with sulfates. Look for the following sulfates on ingredients labels: Sodium Lauryl Sulfate (SLS), Sodium Laureth Sulfate (SLES), Ammonium Lauryl Sulfate (ALS), Ammonium Laureth Sulfate (ALES). Apply a few drops of your favorite natural oil, such as olive oil, jojoba oil or sweet almond oil on your fingertips and lightly apply to affected areas. This tip especially comes in handy to use if you end up with a head full of static after removing your winter hat. Just make sure to tuck a small-sized bottle of oil in your bag for a quick fix on the road! Many women swear by this trick because it works! Just gently rub a laundry dryer sheet over affected areas of your hair to end flyways and static. Spray your comb with hairspray and then run the comb through your hair. Repeat as necessary to completely remove static and flyways! Another easy way to get rid of static…water. Just fill a spray bottle with water and then lightly spritz your hair. There you go…now you can enjoy a static-free winter of cuddly sweaters, cute hats and cozy blankets! How Many of These Top Hair Care Myths Do You Believe?